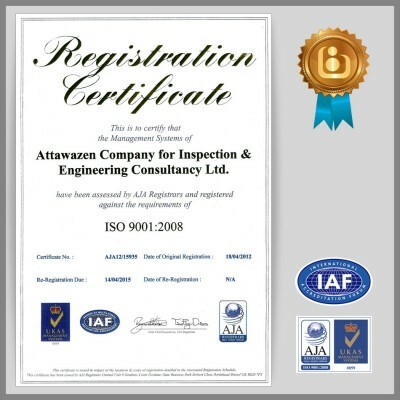 ATTAWAZEN for Inspection and Engineering Consultancy is a pioneer national Ltd Libyan company in the field of inspection and engineering consultancy, certified by Libyan National Center for standardization and Metrology and is registered as Consultant Company in the ministry of Planning and approved to practice inspection and technical consultancy and is also registered in the Chamber of Commerce and in many other national bodies of the same purposes. The company ( ATTAWAZEN) has been credited for ISO 9001 – 2008 & Libyan National Center for Standardization & Metrology . 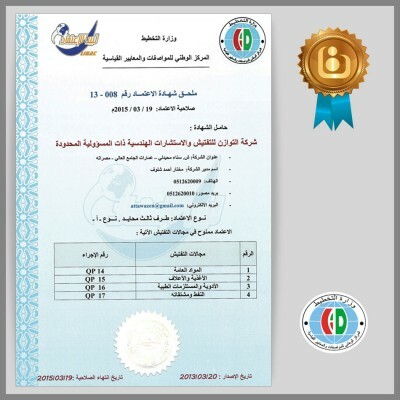 Through the company’s staff are qualified and well trained Libyan specialists , it adapts utmost accurate techniques and up to date measuring & testing equipments and cooperates technically with other international specialized center in all inspection aspects and technical examinations. The company most valuable principle is to obtain customers and clients satisfactions by continuous improvement while defining targets and looking forwards to exceed their expectations. 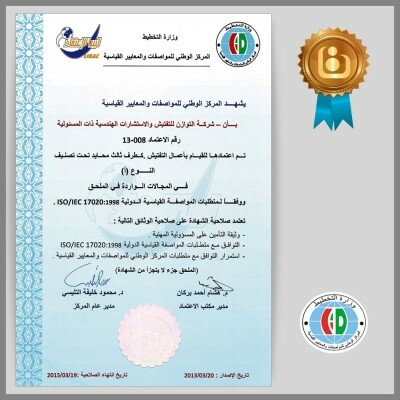 Our company has been credited for ISO 9001 – 2008. 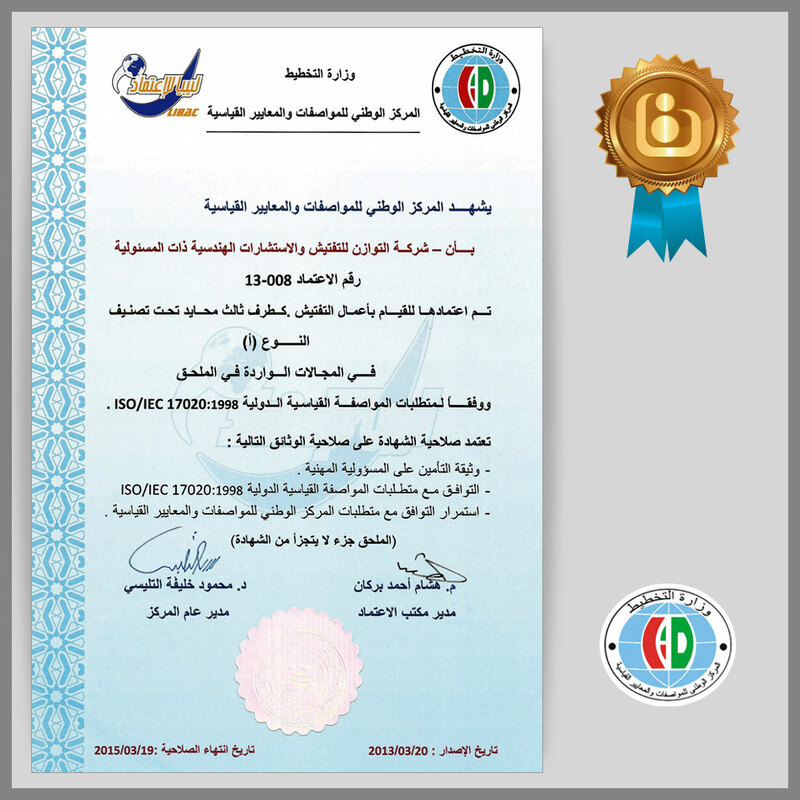 And credited by Libyan National Center for standardization and Metrology and is registered as Consultant Company. Continuous development and providing innovative solutions. Investment in various projects data services company relationship. The continued development of business systems and management. 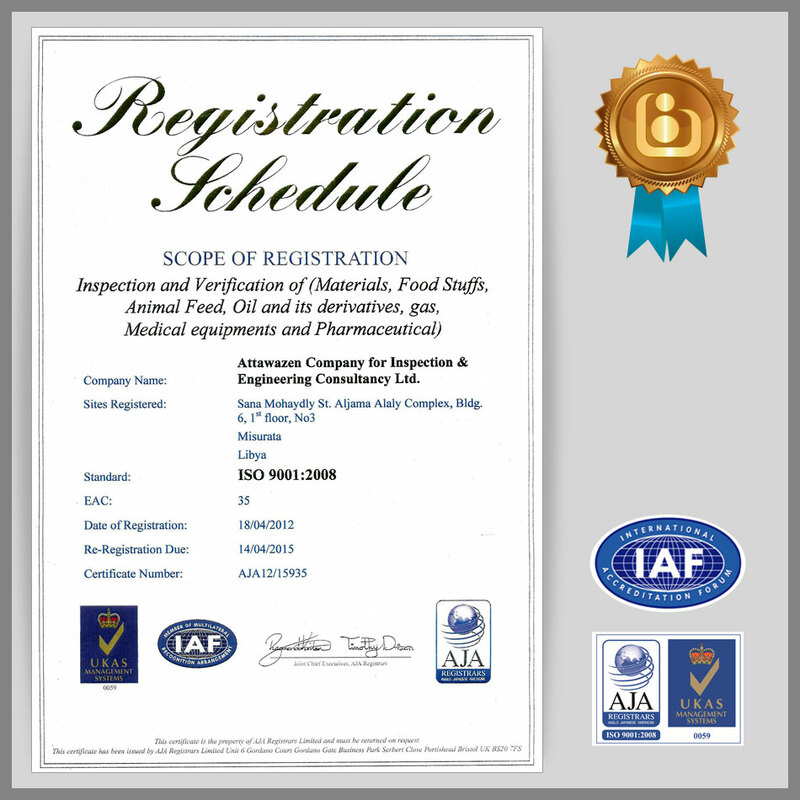 The application of global and local laws relating to inspection and consulting services. 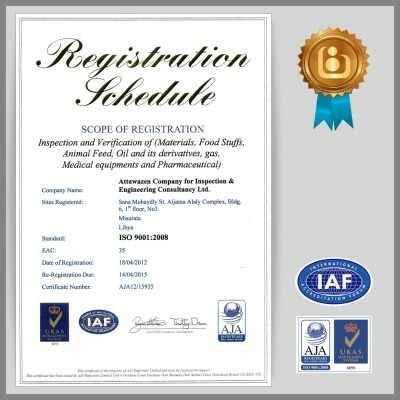 If you want to know more details about our services, and what we can offer you, please do not hesitate to contact us, and we will be happy to get back to you at the earliest.